Moving forward, there shall be 4 key thrusts for Viacom 18. They are segmentation, synergy creation, developing ecosystems and developing an insight. In a free-wheeling chat with Avisekh Agarwal and Dhruv Chadha, Sudhanshu talks about how he got enticed to media, the launch of Nick Jr., the similarities and dissimilarities between FMCG and Media and his views on leadership and management. An avid runner, Sudhanshu seems all set to leave many behind. How has your journey been so far; moving from your comfort area in FMCG to an unfamiliar territory like Media? It’s been a wonderful journey at Viacom 18. There are some clear similarities between FMCG and media with the most important point of reference being “Consumer”. If we look at consumer in FMCG or the audience in media parlance, both are essentially the same. Understanding this consumer in terms of his aspirations, his desires etc are same and therefore my experience at HUL has got a direct relevance in building things here and forming a point of view as we go forward. Secondly in FMCG, product is the hero and it is important to give a great product to the consumer; which he may like and stick with. Similarly in media, you need to have content which builds affinity with the audience and once the content is appreciated, the audience sticks with it. The essence is that there is a need to build a strong relationship with the consumer or the audience in both cases. So the principles are common. Thirdly there are also similarities in the distribution network. Distribution in FMCG happens through retail stores both organized and unorganized. Similarly in media, there are local cable operators and ‘multi service operators’. So the DTH and MSO’s, as digitization happens, represent the organized retail of this industry while LCOs represent the fragmented retail. FMCG in my view provides for ample learning which can be applied in media. If we look at the next phase of media, it will all be about retaining the entrepreneurial spirit while also brining in some element of management and method to the madness. There is a requirement to start developing a few processes without making them a stumbling block in the speed. And therefore professionals like me can add value to this industry. Being an industry veteran in the FMCG space, what enticed you into the role in a media company? After 20 years at HUL, it’s difficult to go into in any other space particularly in India. Media is a sunrise sector and therefore the opportunity for growth is tremendous. I personally feel that we should grow at least five folds in the next 10 yrs. It’s a USD 16 bn industry and if all goes well, it should be around USD 80bn in the next 10 yrs. Secondly, I had promised myself that once I move out of FMCG, I would move into a space which has the same or better pace of functioning and Media is even faster moving compared to FMCG and as I discussed before, there are of course some synergies that can be developed. Additionally I think Viacom 18 is a place which has some very good talent and some very good brands and being just around 5 yrs old in India, they have done some very good work. They perhaps need to go to the next level and I thought it would be the best way to test my leadership. We have talked about media having a lot of potential, but what could be the impediments according to you? There are quite a few challenges and the most fundamental of them is finding the right business model and the issue with ‘subscription revenues’. It is an industry where we collect close to 30,000cr in revenues from the audience but what flows into broadcasters is about 3000 cr which is quite low. We are the starting point and the content is all made by us, but still we end up with just 10% of the revenues. The LCO being the last service provider who does the collection should at the most be getting 33%. Then you have MSO’s who should be getting not more than 33% as they are the ones who distribute it and finally it should be the broadcasters who should get the rest. That is why digitization is such a big step for this industry, because above all there is a need for transparency in the way things are done. The second challenge in our industry is the pricing. If you look at any other sector, there are multiple price points correlating to consumer levels, but because of the unorganized nature of the media industry, the subscription paid by the consumers is uniform. At Rs 200, people want to consume all channels irrespective of whether they need them or not. So the other thing that should happen is the formation of price tiers. There has to be a premium if people want specialized content and asking for 100 rupees extra for a specialized offering per month is not too much. The consumer should be willing to pay 20 rupees a month for a channel like Nick Jr, if it provides high quality content for educating and entertaining his child and the local distributors need to be able to educate the consumer for the same. The third challenge in terms of the Indian context is in terms of infrastructure. If media has to grow, we need to get the infrastructure growing which can be best explained from the point of view of film entertainment. Till 2010, film industry was declining and one of the fundamental reasons for that was that we had single screens and therefore by default, the product had to be a mass product. The moment you got multiplexes across the country which is a sizable number now (around 2000 multiplexes and 10,000 single screens), the revenues have gone up. The revenue breakup that multiplexes contribute around is 30% now. This gave us the ability to target a particular segment and give content that is far more edgy or focused and it also gave us the ability to price it from 100 rupees to 500 rupees resulting in the higher growth of industry as well as proliferation of good content. Finally I also feel that the policy framework needs to keep pace and the government must regulate this industry far more selectively which allows people to be more enterprising and entrepreneurial. Viacom 18’s latest offering has been another kid’s channel. What was the idea behind Nick Jr? Our third offering is coming in now in the form of Nick Jr., which caters to 2-6 yr olds; which is preschoolers. One way we can look at kids is to just call them kids and the other is to segment them further, sharply on the basis of demographics and psychographics. So if you see, Nick focuses on comedy, while sonic focuses on action and adventure. So Nick Jr. fits in as a part of our segmentation strategy. We are also now developing an ecosystem through which we shall go beyond TV. We are a Media and Entertainment Company and media shall be at the core of what we do; but we are now trying to develop an ecosystem where we are able to bring our media offerings out of TV and create an entertainment offering outside, which we can also take back to media. So Nick Jr. will be a TV channel but we shall be able to take the characters of Nick Jr. like Dora and others out of TV to provide experiential entertainment for kids in places ranging from malls, schools to their homes. We would also give them an opportunity to develop a strong relationship with these characters. Therefore, we shall be able to develop a consumer business across these characters; for example, you could have a Dora bed, a Dora bag, T-shirts, bottles, cycles etc. The other interesting bit is that Viacom is very strong in the kids’ space, so this reinforces our synergies which we want to develop between Viacom and Viacom 18. We are currently trying to find a paradigm between 2 paradoxes. In India we feel that if we go to learn, we cannot play and if we play, we cannot be learning. But here, our entire philosophy is play and learn so each of the channels are about developing skills, arithmetic skills, cognitive skills etc. So basically the preschoolers get to learn a lot in a fun way. Is there an existing market for an offering like this in India or are you trying to create one? In a post digitized scenario, we are banking more on subscription revenues for a channel like this because it’s a preschool channel and our advertising revenue will be minimal here. Our revenues will be dependent on subscription revenues, digital revenues for young moms and on revenues through consumer markets. There is already a market for this in urban India, but this is a market at its tipping point and will explode as we go forward. The rationale is that we expect to find like minded people who have grown up in an environment of surplus, have high disposable incomes and shall be willing to invest in channels like this for their kids. What is the one major dissimilarity that you feel between media and FMCG? The major dissimilarity is that FMCG is a mature industry where decisions are taken based on data and therefore decision making is a tad slower and more layered. The culture is process driven. Media on the other hand is comparatively new, both in India and abroad with a far more enterprising and entrepreneurial culture where decisions are made largely on gut and therefore the decision making process is far quicker. Do you feel that there is a need for consolidation and organized functioning in the media space like that of FMCG? There will be some consolidation of all aspects in media moving forward because too much fragmentation is also not good for the industry. We cannot have 500 -800 people running a single channel. Some consolidation will definitely happen because things like having 16000-18000 cable operators are just not feasible over the long run and as digitization happens, consolidation will happen. How is handling a multi-brand portfolio at HUL different from handling a multi-brand portfolio at a media conglomerate like Viacom18? There are a lot of similarities with the basic premise being that in both sectors we need to apply the portfolio strategy thinking and need to have our quadrants mapped out well regarding who our star is who is our cash cow. The difference perhaps would be in the fact that when we do multi-brand strategy in FMCG, we build these brands through products which stay the same for many years and it’s not easy to upset that apple cart. In media it is far more dynamic and we need to have content that is constantly refreshed and looked at far more closely on a day to day basis. The need to keep it relevant over short term horizon is higher in a media portfolio compared to FMCG where if once done well, is relevant for a longer time. Viacom 18 has diverse brands in different genres; however it is noticeable that you do not have a movie channel. Considering that Viacom18 motion pictures produce quite a few movies every year, don’t you think that it is fitting that you start a movie channel? Every opportunity needs to be addressed by breaking it up into different components; like what is the size of the opportunity, what is the business case or profitability of the opportunity and therefore is there a business case in the long term and thirdly is there a possibility of an offering which can be differentiated? In case of movies, although the size of the opportunity is relatively large, the ability to offer a differentiated proposition is limited. We would be the fifth entrant in this space and I don’t think we have any specific differentiator to ensure our success. The need for movies is being catered by our own GEC (General Entertainment channel) also. We do acquire new movies from time to time and we have been consistently doing premieres, so it’s not that we don’t show movies at all. We will continue to question ourselves as to what different we can do in this space but I feel that synergies are not so overriding that just because we have a motion picture business, we should have a movie channel. Has the recent compulsory digitization initiative had any significant impact on business? I think the journey has just begun. The phase 1 has gone off well and Mumbai and Delhi are now about 91% digitized as per TAM. Even Kolkata is around 73%. Out of the 38 cities scheduled for the next phase, all have around 35% digitization already. The benefits shall surely flow in the long term for all who are part of this initiative, be it the government, the broadcasters or the consumers, but shall be more visible about a year or so later. What are your growth plans for Viacom18? What are the three most important areas where you would like to channelize a major portion of your energies? We are looking at a portfolio where we have strengths wherever we have a space available. We shall have our bouquet and as visible, kids’ is a bouquet already and it shall be likewise in all areas we are present in. Our key thrusts would be on segmentation, driving more business on insights, driving synergies and on creating an ecosystem for anything that we do by which we mean that we would now be looking at TV, multiple screens, digital space, other touch points and also experiential entertainment. I also feel that in this phase of our existence, we need to focus on and provide a great deal of thrust on our execution. So to sum it up, a richer portfolio with a stronger play in each of the spaces we are in. On a more informal note, how do you define Leadership? What aspects of your management style do you like or dislike? Although there is so much written on leadership, I want to cover 2 important points. Firstly, there are certain qualities which a leader should have and they revolve around commitment, authenticity, contribution and responsibility. These are the 4 qualities which all leaders should have and in my judgement most leaders do display although the composition in the mix may vary. Secondly, a way to define a leader is someone who has followers. If people look up to you then you are a good leader. As far as my management style goes I feel that I don’t’ follow up as aggressively as I should and I need to improve upon it. 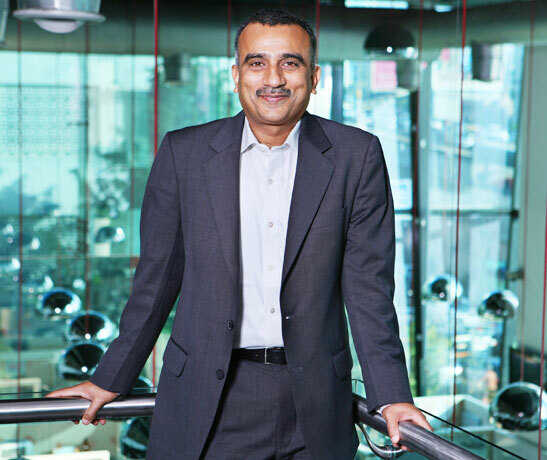 Sudhanshu Vats is currently the Group CEO for Viacom 18. 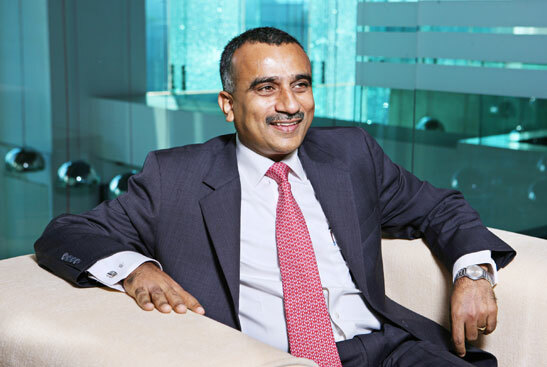 Prior to this he was the Vice-President, laundry, South Asia and Global Radiant for Unilever. Vats has about 21 years of experience, of which 19 have been with Hindustan Unilever across sales, customer development, marketing and general management with P&L responsibility. He has worked across different categories (home & personal care and food) in FMCG. He is an MBA from IIM Ahmedabad. Vats is an avid runner and runs marathons regularly .He is very close to his family and loves to spend time with his wife and two daughters.